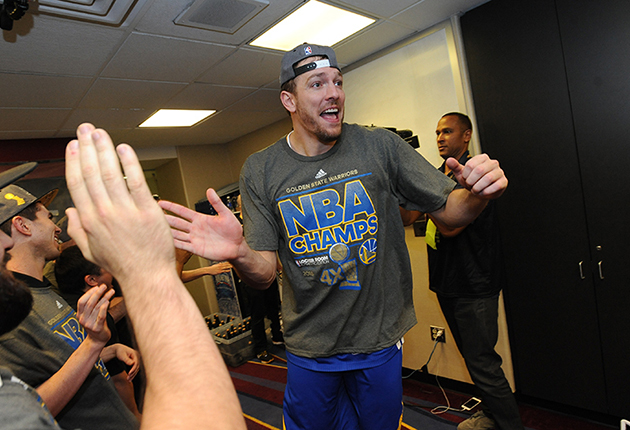 Both the Warriors and Celtics benefited from a swap of David Lee and Gerald Wallace. Golden State came into the offseason with two primary goals: Resolve Draymond Green’s restricted free agency without issue and unload David Lee to some willing recipient. The former came to pass in the opening days of free agency and the latter on Tuesday, when the Warriors agreed to send Lee to the Celtics in exchange for the little-used Gerald Wallace. Wallace is set to make $10.1 million next season relative to Lee’s $15.5 million salary. That’s a huge distinction for a bit player on a taxpaying team, even if Wallace never plays a minute for Golden State. Simply swapping the two salaries stands to clear $5.4 million in payroll salary and a potential $16 million or so in luxury tax payments, assuming the (now conservative) $81.6 million projection of the luxury tax line. Those savings could increase further if the Warriors find a taker for Wallace in a subsequent deal or waive him using the stretch provision—a cap mechanic that could space out his cap hit to $3.4 million over three seasons. In that scenario, Golden State could well save some $30 million in tax payments alone. That option wasn’t on the table with Lee, who had one of the few unstretchable contracts left in the league. Only deals signed or extended under the current collective bargaining agreement are eligible to be stretched. Lee, back in 2010, signed a six-year contract under the guidelines of the previous CBA that is only now set to expire. The Warriors will have until Aug. 31 to make the call to stretch Wallace’s contract or keep him. Regardless, they’ve saved themselves a significant sum without giving up any players, picks, or compensation of any kind—as was the general expectation of their efforts to trade Lee this summer. Bully for the Golden State brass. Boston, though unable to extract any other assets in exchange for taking Lee off the Warriors' hands, acquires a useful veteran. Lee’s shortcomings aren’t so dramatic for a team on the Celtics’ level; Brad Stevens can make good use of Lee’s cutting and passing ability without his defense being under the scrutiny it would be on a contender. Acquiring Lee isn’t any kind of transformational move for Boston, though their efforts to maintain competitive while rebuilding are certainly enhanced by a big this capable. Part of the motivation for the Warriors to relocate Lee was to do right by him. This was a franchise mainstay who accepted a bench role and later a benchwarming role in Golden State’s title chase, only to later resurface in the rotation to provide a lift in the NBA Finals. Finding Lee the right kind of landing spot was part of the team’s motivation to move him. According to NBA.com’s David Aldridge, Lee and his agent like what Boston has to offer. It’s a good fit from many perspectives. That said, it’s hard to get around the fact that the Celtics’ frontcourt is getting a touch crowded. Jared Sullinger, Kelly Olynyk, Tyler Zeller, and Jonas Jerebko will all return from last year’s team. Joining them is Amir Johnson, another vet on a functionally expiring contract. Finding minutes for all of those players and Lee—who will be looking to play his way into his next deal—could be a challenge at times, particularly when Boston has more of a vested interest in building the value of their young players than accommodating Lee. The Celtics, who had no intention of playing Wallace regardless, make out well in this deal all the same.